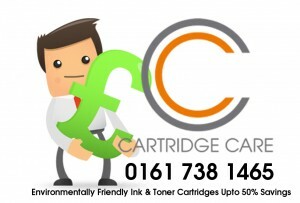 Cartridge Care Manchester Can Now Supply Compatible Brother TN2010 Toner Cartridge Manchester. Compatible Brother TN-2010 Black Toner Cartridge. Ideal for small offices or homes, the compatible Brother TN-2010 laser toner cartridge is a reliable consumable that can deliver rich black output. From sharp texts to clear images, the compatible TN2010 black toner will not disappoint when it comes to the quality of monochrome documents. You can produce anything from professional black and white documents and presentations to artsy greyscale photos with the compatible Brother TN-2010 print cartridge. This compatible Brother TN-2010 toner is designed as a cheaper alternative to the genuine Brother TN2010 toner and yet it is just as easy to use and install. Expect to print up to 1,000 pages from the compatible TN2010 toner. This entry was tagged Brother DCP-7055 toner cartridges Manchester, Brother DCP-7055W toner cartridges Manchester, Brother HL-2130 toner cartridges Manchester, Brother HL-2132 toner cartridges Manchester, Brother HL-2135W toner cartridges Manchester, Brother Ink Cartridges Manchester, Brother Printer Cartridges Manchester, Brother TN2010 Toner Cartridge, Brother TN2010 Toner Manchester, Brother Toner Cartridges Manchester, TN-2010, TN2010, TN2010 Toner, TN2010 Toner Cartridge, TN2010 Toner Cartridge Manchester, TN2010 Toner Manchester. Bookmark the permalink.